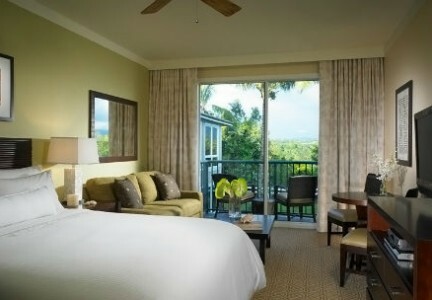 The Westin Princeville Ocean Resort Villas is one of the most prestigious vacation ownership properties in all of Hawaii. It is filled with enchantment, and romance where beauty abounds everywhere. 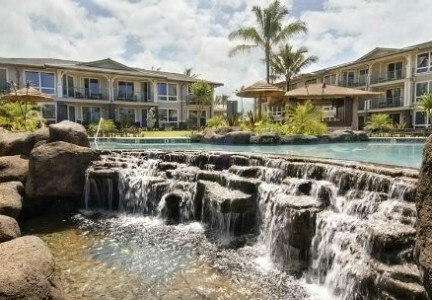 Located over two hundred feet above the deep blue ocean vista surrounding the Island of Kauai, let it fill your senses with beauty and peaceful serenity, a world away from the hustle and bustle of daily life. Kauai’s uniqueness is the diversity of weather from the central rain forests, to the arid and dry black sand beaches of Poipu, to the cliffs of Na Pali. 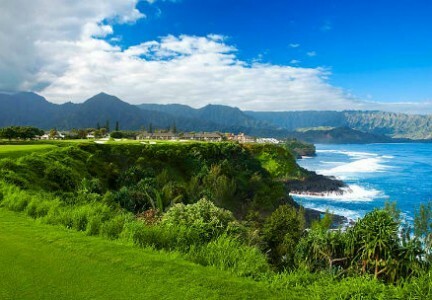 Hiking and exploring the Waimea Canyons or maybe a round of golf on a Robert Trent Jones course, just steps from your villa. 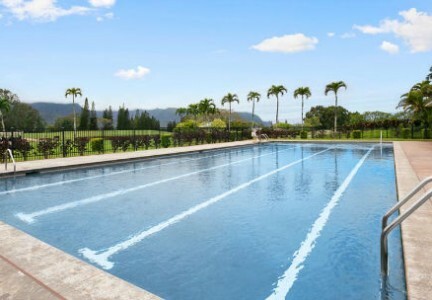 Princeville is the place where the gleaming Pacific Ocean meets the mountains on the magnificent North Shore to create a picturesque paradise that invites restoration and personal renewal. 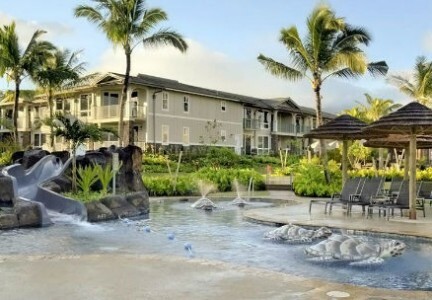 With so many services, amenities and refreshing experiences to choose from, you’ll wish you could linger longer in this harmonious Hawaiian haven. 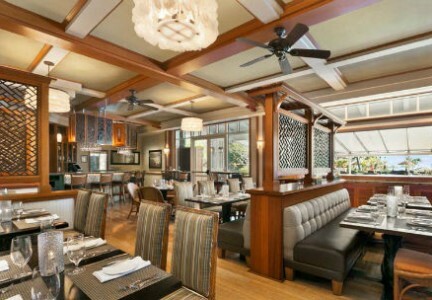 The Westin Princeville is the focal point of prestigious and trendy Princeville, with a downtown that offers exquisite gourmet cuisine, unique designer shoppes that will satisfy the most discriminating tastes and entertainment that will extend your stay late into the evening hours. The villas themselves reflect Westin’s signature style and luxury; its bounty further bolstered by its affiliation with parent company, Starwood Vacation Ownership. These unique residences offer owners the choice between three innovative floorplans, each providing flexible living space and a host of stylish amenities incorporating the rich cultural heritage of Kauai. 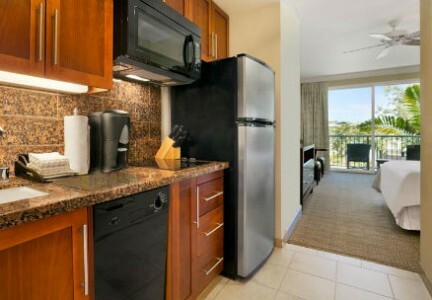 The villas at the Westin Princeville Ocean Resort offer a Studio, One Bedroom, and Two Bedroom villas. They include full-sized kitchen appliances (except Studio which is a kitchenette), a breakfast bar, tile flooring, and state-of-the-art entertainment electronics, and internet services. Also featured in every bedroom and studio of this luxurious Westin timeshare are the resorts’ own Heavenly Bed – plush sleeping appointments utilizing fine linens and a top-quality mattress. 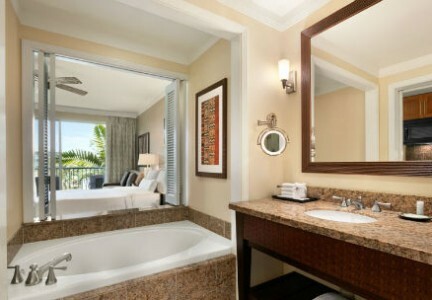 Equally luxurious are the resort’s Heavenly Baths, which include a large shower with separate whirlpool tub. All villas feature stunning island views, or ocean views, 200 feet above Anini Beach, that last forever! All villas also have a lock off feature that offers the owner flexibility every year, so call for more details. 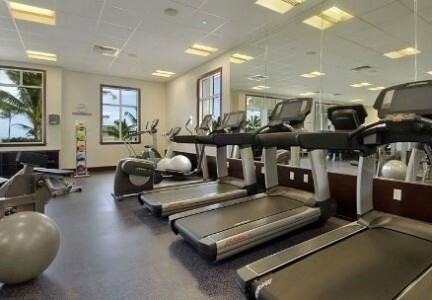 Onsite, timeshare owners enjoy an extensive array of amenities including a magnificent recreation lagoon, Heavenly Spa, Westin Workout and Westin Keiki (Children) Club; to name a few. 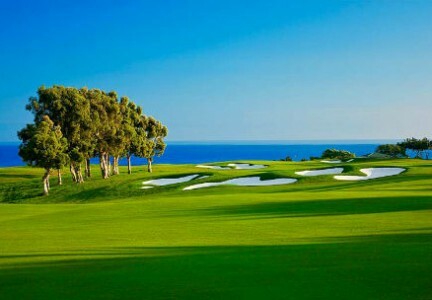 There’s also an Ocean Pool Bar, onsite General Store, Business Center offering fully-equipped computers and internet access, and family-game room. Children ages 5-12 can attend Hawaiian-themed programs and activities while parents swim, golf, or pamper themselves at the spa. 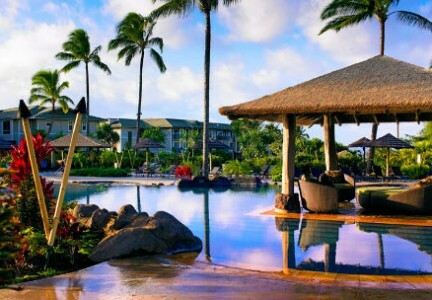 The soft sands, turquoise waters and lush rainforests set the scene for an unforgettable Kauai timeshare vacation at your Westin Princeville Ocean Resort villa. From snorkeling amid the Pacific’s colorful reefs on the South Shore to touring the rugged terrain of Na Pali and Waimea Canyon with a helicopter ride, there are dozens of ways to enjoy Hawaii’s breathtaking natural surroundings. From your Westin timeshare, you can explore the island’s diverse natural beauty, including dramatic volcanic craters and enchantingly lush rainforests. 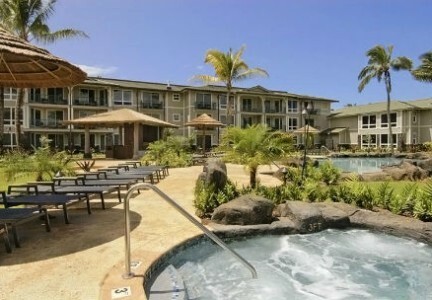 The mild climate and ocean breezes make it the perfect place to buy Hawaii timeshare. 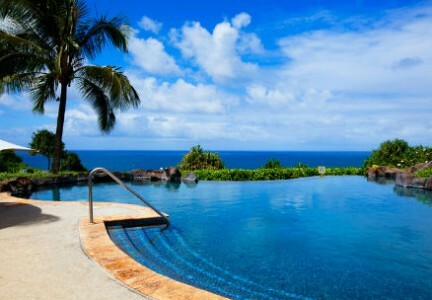 If you can tear yourself away from beautiful Kauai, Westin timeshares are some of the most flexible in the world. As one of three resort families in the Starwood Vacation Ownership network, Westin Vacation Ownership provides upscale villa accommodations in some of the most sought-after destinations in the world. Westin Vacation Ownership affords Westin timeshare owners unparalleled flexibility, allowing them to choose when, where and how they want to vacation; within a vast network of hundreds of resorts. As one of the most prestigious names in timeshare, Starwood Vacation Ownership (SVO) provides access to more than 850 distinguished Sheraton timeshares and Westin resorts, as well as access to the breathtakingly beautiful Harborside Resort at Atlantis. You’ll find Starwood timeshares in more than 80 countries! 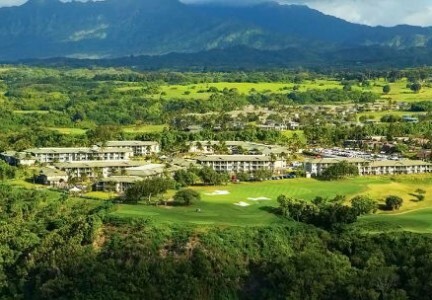 Westin Princeville Ocean Resort Villas is also affiliated with Interval International, meaning owners can exchange their time there for time at one of thousands of affiliated resorts all over the country. You’ll save thousands (and forgo intense, high-pressure sales presentations) when you buy your Westin timeshare resale from the expert agents at Timeshare Broker Sales. When you buy timeshare resale, you’re purchasing exactly the same property you’d buy directly from the resort; yet you’re saving thousands. Owners who aren’t able to use their timeshare any longer simply list it for sale (we help timeshare owners sell timeshare too). At Timeshare Broker Sales, our experienced timeshare brokers then match these sellers with buyers (like you) according to budget, lifestyle and vacation preferences. We’ll help you find the perfect Westin timeshare resale, and walk you through the steps to securing a lifetime of affordable, unforgettable vacations for you and your family. Perhaps you’re not ready to buy timeshare but would like to conduct some hands-on resort research. Or maybe you’re just looking for a luxurious yet affordable get-away. 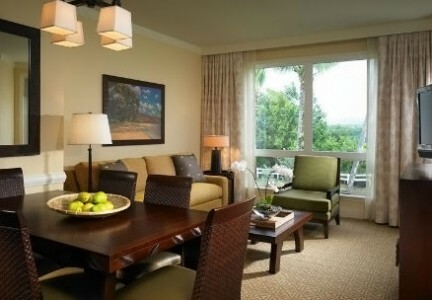 There are thousands of Westin timeshare rentals available in exotic destinations all across the globe. 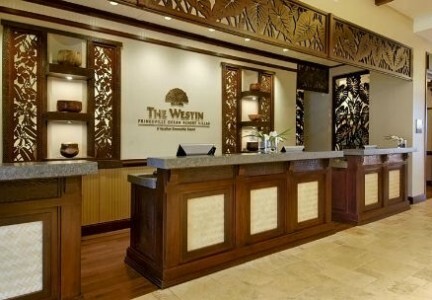 For about the same as you’d pay for a cramped hotel room, our licensed timeshare resellers will secure you and your family with the spacious, opulent accommodations Westin Vacation Ownership is known for. Our licensed agents go beyond timeshare basics – boasting extensive knowledge about program intricacies, specific-resort information and exchange opportunities that our clients find invaluable when deciding which vacation property to purchase. 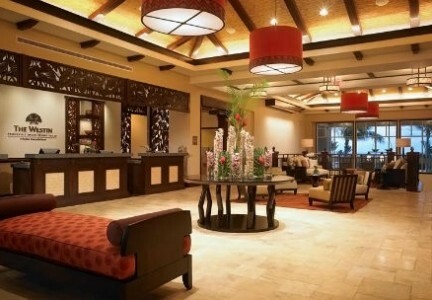 Our knowledge helps you find the best rates on Westin and Starwood timeshare properties. 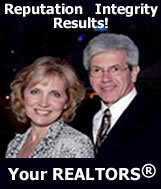 Contact us today Toll Free at (800) 985-9946, and see what our clients are raving about! 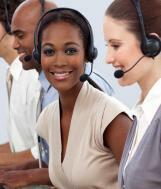 There is a true difference in the personalized service we provide! 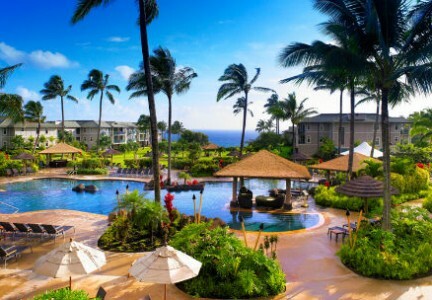 Let us help you buy that perfect Westin timeshare resale, and see how much you can save.